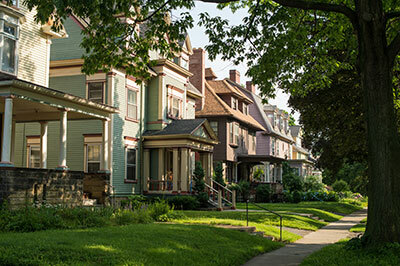 The Off-Campus Living Program provides assistance, education, and support to members of the University of Rochester community who are seeking housing or residing off campus. We assist all University students, both graduate and undergraduates, in all schools at the University. The University of Rochester has partnered with Places4Students.com, a company that specializes in providing off-campus housing solutions for post-secondary students, faculty, staff, and other community members. This service is FREE for anyone to use as an effective method of finding a place to live off-campus, placing a sublet ad, or finding a roommate. Visit the off-campus housing search page for more information about this service. Students can meet with the coordinator for off-campus living by calling (585) 275-1081 to schedule an appointment. Students can also email the coordinator at offcampus@reslife.rochester.edu.